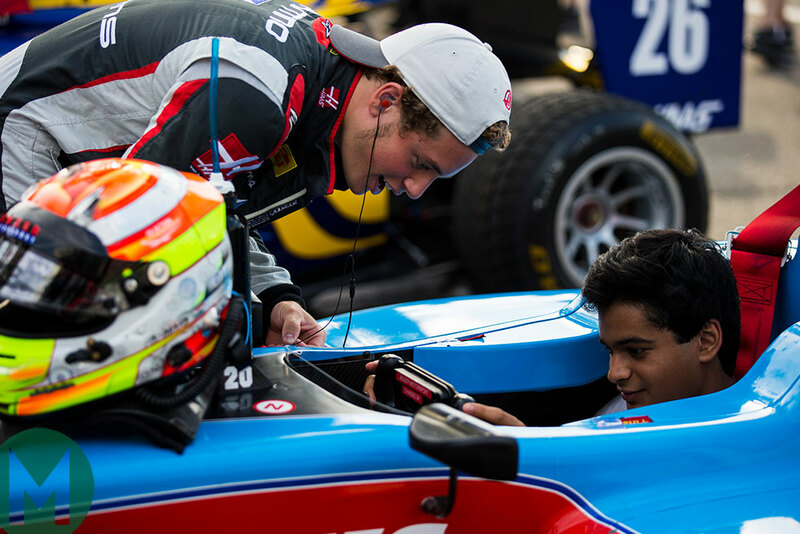 Formula 1 hopeful Santino Ferrucci courted controversy on Sunday as he crashed into Trident Formula 2 team-mate Arjun Maini during the cool down lap of the sprint race at Silverstone. He will be banned for the next two rounds at the Hungaroring and Spa-Francorchamps, also receiving a €60,000 fine. Ferrucci received a €6000 fine before the on-track fracas as he was spotted without a glove and holding a mobile phone while driving to the F2 paddock. Trident later apologised for the matter on Twitter and sided with Maini: "The contractual implications of what has happened will be dealt with by our lawyers. Never in these 12 years of sporting activity has anything even close to this ever occurred. We apologize for the show that we have regretfully offered." There's no word yet on whether Ferrucci will remain with Trident, but the 20-year-old American is no stranger to controversy. In his IndyCar debut at Detroit, stepping in for the injured Pietro Fittipaldi in June, Ferrucci clashed with Spencer Pigot in separate racing incidents and was called "disrespectful" by Pigot. It was also reported by various outlets that Ferrucci planned to display the slogan 'Make America Great Again' on the side of his car, in support of Donald Trump, but the young driver was disallowed from doing so by F2. He subsequently apologised on social media. "There was no intent, premeditation or any type of retaliation by my actions, only anger and frustration as this has been a horrific year. I have no excuse other than the fact I am a 20-year-old Italian-American with a deep passion for motor sport, which is a very emotional sport," tweeted Ferrucci. Redemption isn't completely out of the question, however. Red Bull Junior driver Dan Ticktum is being touted as the replacement to Brendon Hartley at Toro Rosso, three years after his ban for a deliberate collision in an MSA Formula race under a safety car. World Endurance Championship LMP1 squad DragonSpeed is considering an IndyCar entry with British driver Ben Hanley. With the WEC's season taking place predominantly in the winter, IndyCar's schedule is an attractive proposition for some teams looking to make the jump to single-seater racing in the US. "It's such a natural fit, and with the way we're going with the WEC's winter season after the 'superseason', it means in a way we could do both," said Dragonspeed boss Elton Julian to Autosport. "We've been focused on GT racing and prototype racing, having some success there, but we're running out of places on the racing ladder, so where do we go next? Formula 1 is obviously not realistic, but IndyCar is." Julian compared IndyCar budgets to that of the LMP2 class and said that DragonSpeed would affiliate itself with a major IndyCar squad. Sixteen drivers underwent testing this week on the Charlotte road course, which is set to make its return to the NASCAR Cup Series, in the playoffs on September 30. 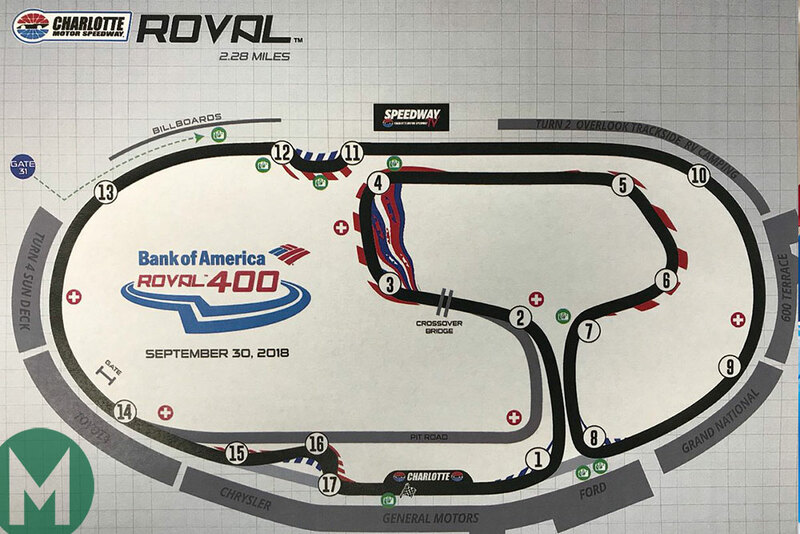 The 2.28-mile, 17-turn 'Roval' uses the infield and a portion of the oval of Charlotte Motor Speedway. But changes have had to be made to a 'bus stop' style chicane (Turns 12, 13) that drivers routinely cut. New rumble strips and a tyre barrier were added to the corners to curb corner cutting. The amendments were delayed as Bubba Wallace crashed at Turn 1, damaging his no43 Camaro and the barriers in the process. Kasey Kahne told USA Today that he wasn't expecting much action when the 109-lap race comes around at the end of September. “I’m not sure, at this point, there’s going to be any passing. We’ll have to see how it all plays out. The oval is part of it, but you have a bus stop coming up. You can barely get one car through there, not two." 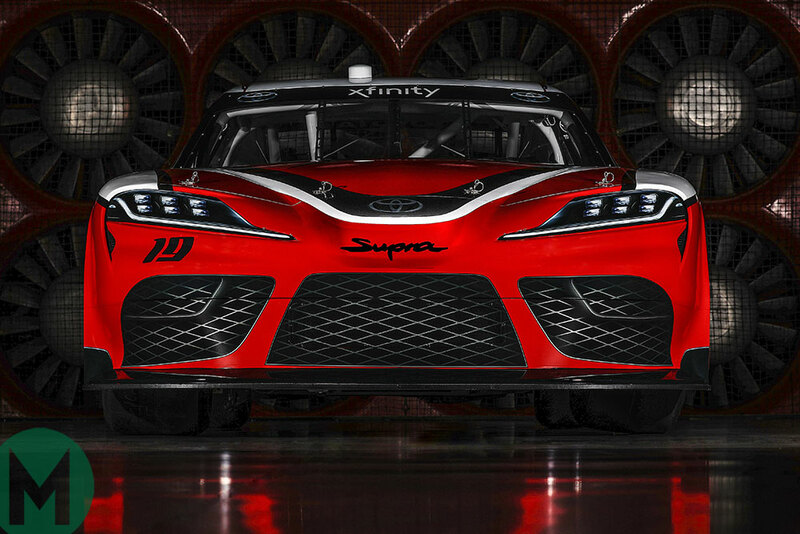 The Toyota Supra will make its NASCAR debut in 2019 as the manufacturer will campaign the new sports coupé in the second-tier Xfinity Series. The road-going Supra soon returns to production for the first time in 17 years and has been revealed to the British public at the Goodwood Festival of Speed. 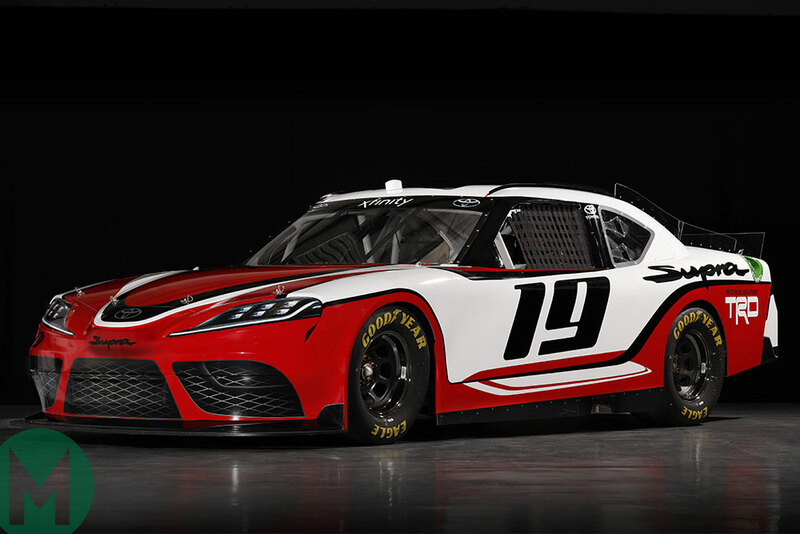 The car replaces the Toyota Camry, which will continue as the Cup Series car against the Ford Mustang and Chevrolet Camaro. "We think the Xfinity Series is a great place to give this vehicle its debut as it comes back into the mix, and NASCAR has really served us well from a Camry perspective." Toyota's design division, Calty, worked on the new Supra stock car having also designed the preceding Camry bodies, the concept for the Supra road car, and various Toyota SUVs and Lexus road cars for the American market. David Wilson, president of Toyota Racing Development, said that there would be a "bounty" for the first driver to win in the Supra. 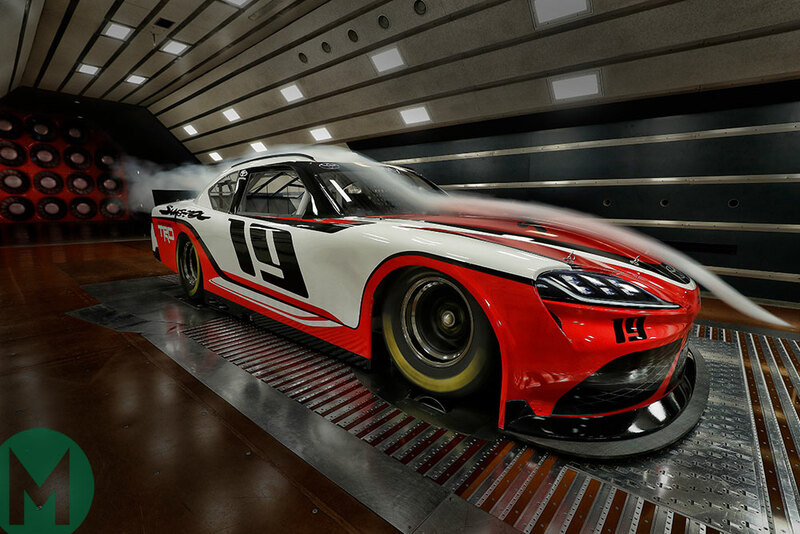 NASCAR games haven't lived up to the hype in recent years, but NASCAR Heat 3 aims to change that with a fictional dirt racing series and numerous changes to the career mode. Players will be able to manage their own racing teams in career mode – at least in the 'Xtreme Dirt Tour' – with a number of fantasy and a couple of real dirt tracks included in the game. The quartet of Hendrick Motorsports drivers: Jimmie Johnson, Chase Elliott, Alex Bowman and William Byron serve as cover stars. Those who buy the game in North America also receive a $50 voucher off NASCAR tickets in 2018 or '19. NASCAR Heat 3 is scheduled to release September 7. Le Mans 24 Hours winner Geoff Brabham will be the grand marshal for the Portland Vintage Racing festival on July 26-29. Portland International Raceway was where Brabham took his sixth of seven consecutive IMSA victories in 1988, and it was the site of his sole start for Penske's IndyCar squad in 1989. Brabham won the 1993 Le Mans 24 Hours, the 12 Hours of Sebring in '89 and '91 and the 1981 Can-Am Series Championship among other achievements. Still an active historic racer, he and his son Matt Brabham took the top two spots in qualifying for the Indy Legends race on June 15. Geoff retired from the contest, with Matt taking victory. Also during the weekend, Geoff won the open-wheel Group 2 race in a 1971 Brabham BT35. In action over the Portland Vintage Racing weekend will be Trans-Am and the Masters Historic Formula 1 series.